Although it has long been known as one of the best places in Oregon to find a beach home rental Lincoln City has also become well-known for its handcrafted blown glass over the last 30 years or so. Every year, local glass artists create hundreds – or even thousands – of handcrafted glass art pieces known as “glass floats” that volunteers place carefully in discreet spots along the city’s seven-mile stretch of pristine coastline between October and May. The Lincoln City Visitor and Convention Bureau organizes these “float drops” throughout the season, and this year glass art shaped like sand dollars, crabs, and starfish will also be part of the fun from Oct. 17 to May 30. But even if you don’t find your own special piece of art hiding among the rocks and sand, there are still plenty of ways to enjoy Lincoln City’s arts and beaches during your next stay here. If you’ve scoured the beaches and come up empty-handed, not to worry! Every month during the “Glass Floats on the Beach” season the city’s Visitor and Convention Bureau holds special drawings for glass floats at the Lincoln City Visitor Center located on NE Hwy 101. The only catch is that you have to help keep the beach clean in order to participate, by bringing in a bag of trash you’ve collected on the coast in exchange for an entry form. Folks with disabilities are also welcomed to participate in the monthly float drawing without need to collect any trash from the beach. So, really, everyone wins with this deal. If the monthly glass float drawing isn’t a good time to book your vacation rentals Lincoln City is still filled to the brim with glass art and other artistic delights to enjoy. You can find glass floats and other pieces of hand-blown glass art on display and for sale at many shops and galleries around the city. The most magnificent display can be found any time of year at the North Lincoln County Historical Museum. There you will find an exhibit featuring splendid glass fishing boats celebrating the unique juxtaposition of glass arts and fishing that make up this seaside city’s eclectic history. In fact, the very concept of finding glass floats on the beach is quite historic. In the days of yore, when Japanese fishing boats would sail nearby, they would use colorful glass balls to float their nets. These glass “floats” would sometimes appear on shore, and locals took to collecting them. Ask a local historian and they’re sure to have more tales to share! Whether you’re booking a large vacation house or an intimate condo rental Lincoln City is sure to make all your artistic, seaside dreams come true. And if you’re willing to get creative, you’ll be happy whether you find one of those glass floats or not! Book Your Oregon Beach House Rentals for the Spring Break Glass Drop! Oregon Beach House Rentals for the Spring Break Glass Drop! It’s time to book your beach vacation rentals! Lincoln City is preparing for a special Spring Break glass drop as part of its signature promotion of glass floats on the beach, Finders Keepers, which includes periodic “drops” of radiantly colored glass floats between October 17, 2015 and May 30, 2016. This March, between the 19th and the 27th, the stretch of Pacific Ocean coastline that runs through Lincoln City, Oregon will come alive with hand-made glass art pieces that you are free to keep upon discovering. 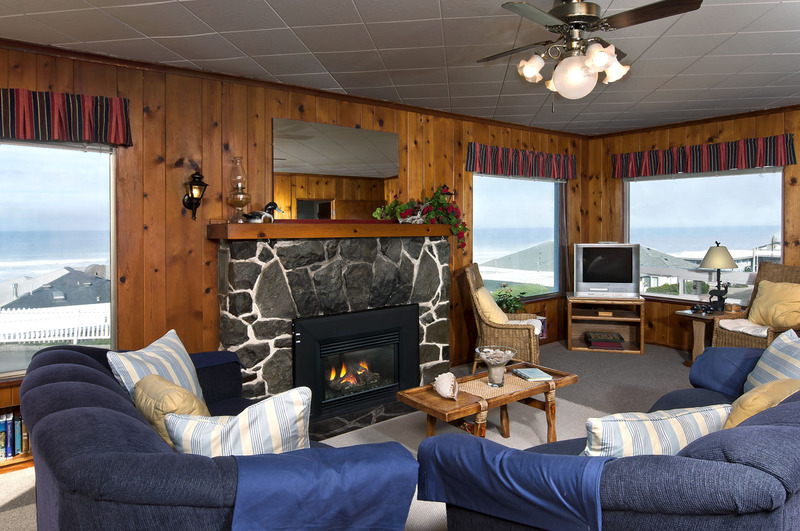 Book your Oregon beach house rentals today to be sure you’ll have the best possible accommodations for the festivities, and keep reading to learn more! Contact us by calling 503-232-5984 or Book Online today! The “Finders Keepers” project dates back to nearly two decades ago in 1997. An artist living and working in the Lincoln City area was inspired by the impending new millennium, and wanted to find a way to celebrate and welcome this new era. The city agreed to sponsor the project and its first season took place between the early fall of 1999 and the late spring of 2000. Numerous volunteers known as “Float Fairies” joined in to make the drops. Not only was this a way to mark the new millennium, but it also drew thousands of tourists from neighboring areas and across the nation. Everyone wanted to find their own signed and numbered glass float decorated with dazzling colors and designs, and many others visited local galleries throughout Lincoln City to purchase glass floats available for sale unnumbered. To this day, visitors still flock to this area every year between mid-October and Memorial Day to find and bring home their own float. During each glass drop, these unique pieces of hand-crafted art are dropped by “Float Fairies” along a 7½-mile stretch of publicly accessible coastline spanning from the Roads End Area in Lincoln City to Siletz Bay. The total number of glass floats dropped during a season always reflects the year, so this year 2,016 floats will be dropped, including 300 for the Spring Break event at the end of March. You will find the glass floats below the embankment of the beach and above the tidal line. Be careful to keep your eye on the ocean at all times, and never search during storms, as the fairies do not drop glass floats when the weather is frightful. 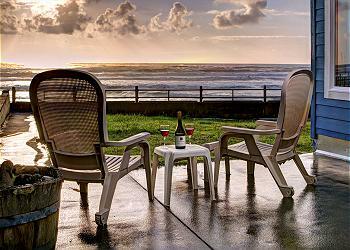 After booking your beach vacation rentals, Lincoln City will be yours to explore. Whether you find a signed and numbered glass float, purchase an unnumbered one, or simply enjoy the Central Oregon Coast and everything it has to offer, you’ll return home as a winner.